With merely a month left to the festive season, you’re probably already thinking about how best to pamper your loved ones. Bonding with family and friends over a Christmas feast is almost mandatory — after all, there’s no better time to gorge on copious amounts of turkey and log cakes without guilt. You’ll also need to go shopping for presents, which may be a stressful affair if you’re feeling uninspired. If your recipient is fond of elegant jewels, though, Van Cleef & Arpels has the perfect gift: Its new Vintage Alhambra designs. These lovely trinkets span necklaces, bracelets, earrings and a pendant, and are all embellished with the collection’s iconic four-leaf clover motif — one of the most universal symbols of good fortune. In conjunction with the Alhambra fine jewellery line’s 50th anniversary, the French maison has incorporated some of its new pieces with coloured stones that once appeared in previous creations. Earlier this year, it used lapis lazuli, rock crystal, onyx and mother-of-pearl. For the upcoming holiday season, it has looked to blue agate, a translucent variety of chalcedony that was first used in the collection back in 1989. 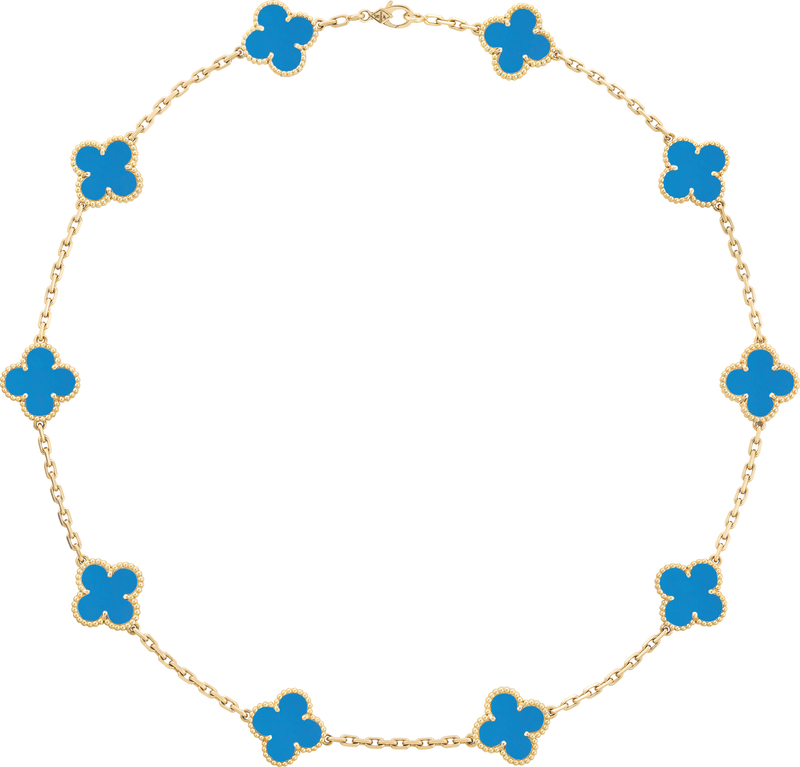 The blue agate is crafted into clover shapes and paired with yellow gold in a 10-motif necklace and five-motif bracelet. 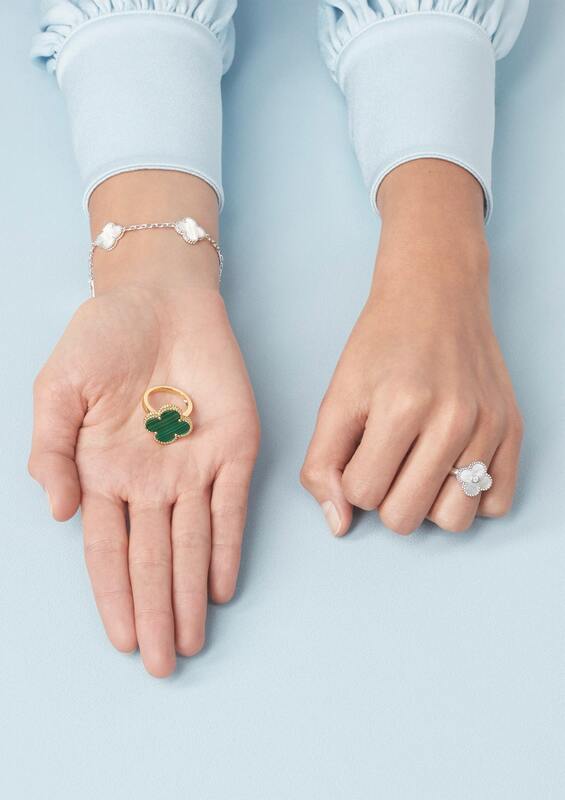 Each clover is surrounded by tiny golden beads — a recurring aesthetic that Van Cleef & Arpels has utilised in other collections such as its Perlée series — and connected by links of gold. Another noteworthy aspect of this season’s new launches is the introduction of the guillochage engraving technique to the Alhambra collection for the first time. Van Cleef & Arpels started using this style in the 1910s for its watch dials, and in the 1930s, extended it to boxes, powder compacts and minaudières. 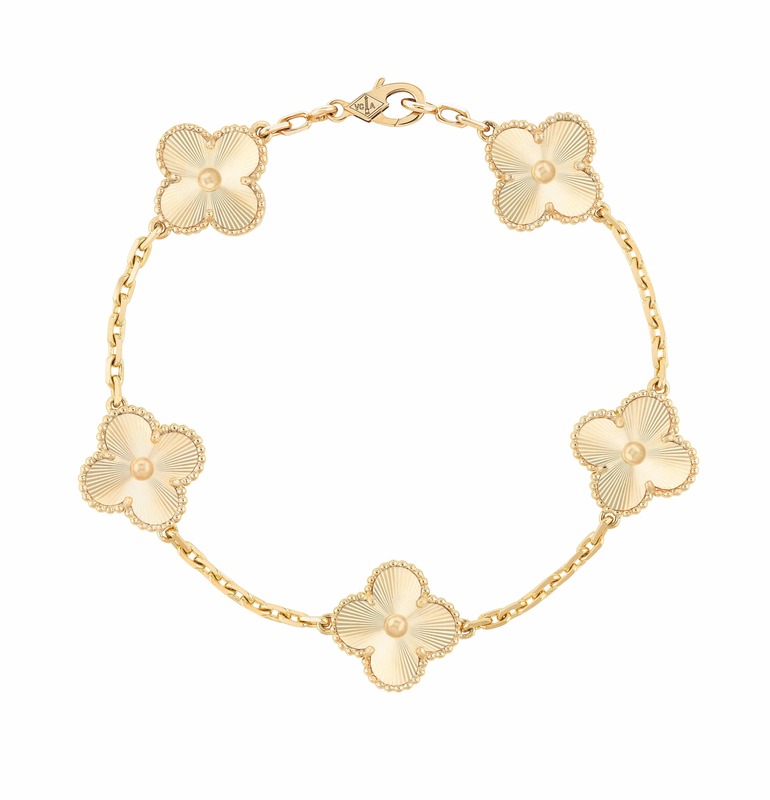 This time, guillochage has made its way onto a Vintage Alhambra yellow gold necklace, bracelet and earrings. The technique involves carving crisscrossed lines in a sunburst-like pattern into the mirror-polished surfaces of the clover motifs, so they glimmer with intensity in the light. Like the rest of the Alhambra designs, these jewels’ floral emblems are fringed with graceful golden beads. A central golden bead also sits at the heart of each clover. That’s not all that Van Cleef & Arpels has up its bejewelled sleeve. 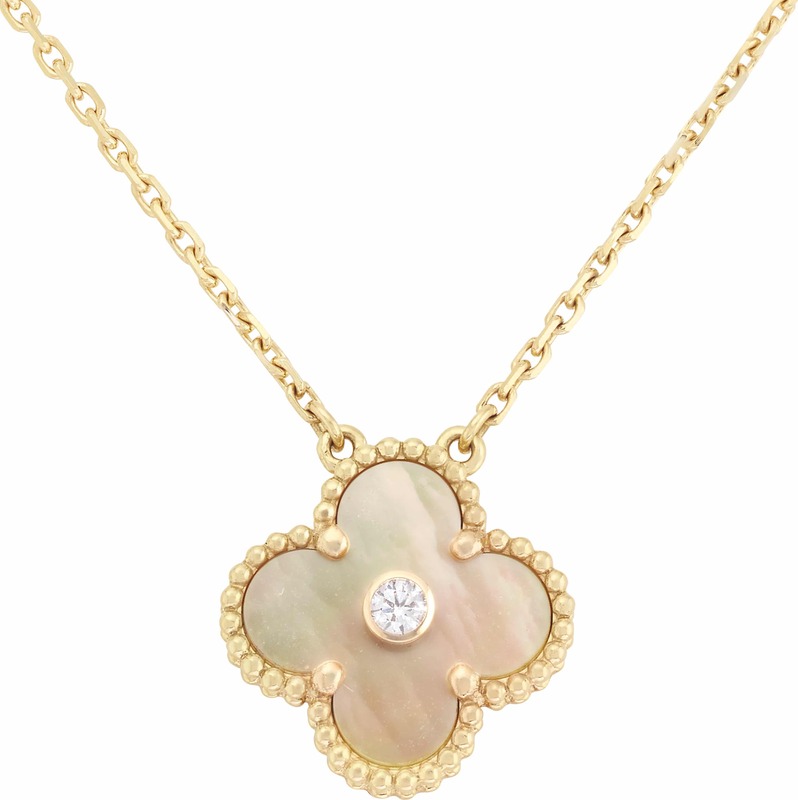 The brand has also released a limited edition Vintage Alhambra clover-shaped pendant festooned with gold mother-of-pearl — a material it has never used before. Found inside seashells from Australian seas, the stone is treasured for its exquisite golden hue, satiny surface and glorious lustre. On the pendant, it’s set against a yellow gold chain and trimmed with a border of small golden beads. A single round diamond is mounted in the middle. The pendant can be inscribed with a name, date or message on its back — so you can present your beloved with a customised gift unlike any other. View the full Alhambra collection here.